Hello friends, few months back I purchased Chevrolet Cruze 2.0 LTZ MT and to explore more I went for a tour to Mahabaleshwar with it. Describing the drive of my Chevy Cruze is though a tough task because it has got n number of positive facts to share. Let me begin with the engine of this car, it has got the powerful 2.0 liter VCDI SOHC diesel engine that allows this car to run efficiently. The drive is very smooth and suspensions function all properly. Moreover, the mileage it deliver on highway is around 15 – 16 kmpl. I have driven this luxury saloon at the speed of 155 kmpl and at such high speed too it did not lost control. Furthermore, the braking and acceleration are other positive features of this premium sedan. Interior of Chevrolet Cruze is much better than other competing cars like Honda Accord and Toyota Corolla Altis. Both front and rear cabins have got enough space and the infotainment system &centre console has been well adjusted. Dash board design and attractive speedometer makes this sedan look more seductive from inside. The first and foremost thing catchy about the Cruze is well build dashboard with premium quality plastics and the three spokes steering wheel. My LTZ MT has got the black/greyish leather upholstery mated on the seats. The exteriors of Chevy Cruze look different and stunning. The front grille, headlamps and inclining bonnet are its USP and the rear boot lid too has been well designed to give a sporty appearance. This head-turning animal has got some fabulous features like Power Sunroof, Bluetooth, Parking Sensors and Cruise control. Overall, I would say that Chevrolet Cruze is the best available diesel choice to go with that not only delivers decent mileage, but also avails great comforts. I like the big space at rear side. superb features, powerful engine, and great design. Chevrolet offers stylish cars and Cruze one of them with stylish exterior and interior looks. 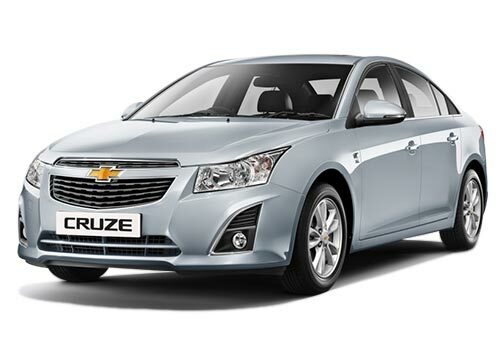 Chevrolet Cruze gives good performance..
Chevrolet Curze is fully luxourious car. I live always happy with my new Chevrolet Cruze.